Indonesia is a beach lover’s paradise. With white-sand beaches, turquoise seas, and lush green forests, you’ll never want to leave this archipelago of more than 18,000 islands. I returned to Indonesia this fall to explore more of the exotic country. The biggest highlights for me were diving in Komodo National Park and hiking to Kelimutu Volcanic Crater at sunrise—and I would highly recommend both! Here are ten incredible adventures in Indonesia you’ve got to have! 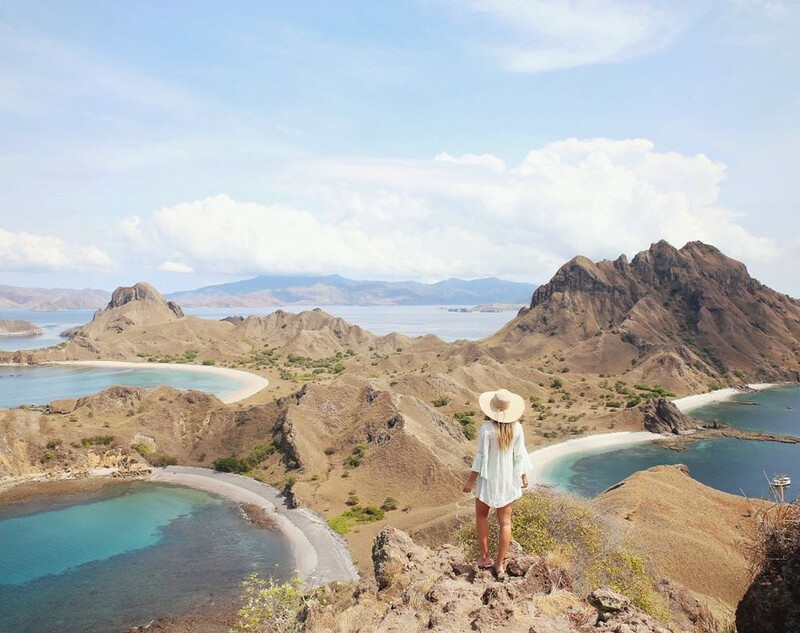 The third largest island in Komodo National Park, Padar Island is another great place for a hike. While the paths are a bit more challenging than Bara Batur’s, they are definitely worth exploring. Hike up to the tallest peaks of the island for a breathtaking view of Komodo National Park. BONUS: Most day tours from Labuan Bajo include a visit to Padar, lunch at Pink Beach, a visit to Komodo Island and snorkeling at Manta Ray Point. The sunrise hike up Mount Batur (Bara Batur) is famous in Bali. Locally considered to be a sacred mountain, Mount Batur is an active volcano. It’s totally safe, though, and a must-see for any nature lover. You can trek the mountain solo or as part of a group tour. In either case, you’ll want to leave around two and a half hours before sunrise. It’s an easy hike, but you’ll definitely need good shoes, so you don’t slip on the descent. The color-changing Kelimutu Volcanic Crater Lakes, located on the island of Flores, is another must-see. 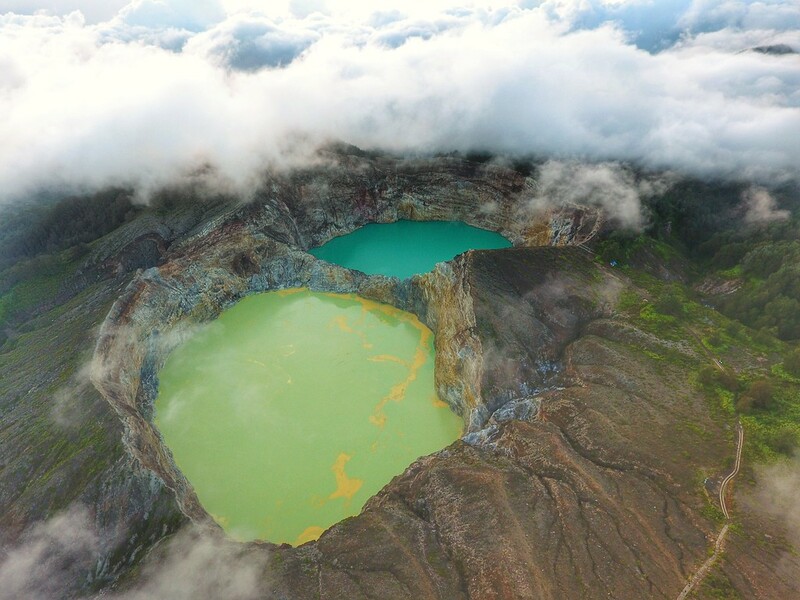 Thanks to a chemical reaction from nearby volcano gas activity, these three iconic lakes can be aqua, emerald, chocolate, or ruby red. Plan on spending at least one full day exploring the area. Countless diving pros consider the Komodo Islands to be the best spot on the planet. With some of the world’s most pristine reefs and an amazing array of sea life, this is a diver’s dream. In the warm waters to the north, you’ll find amazing coral. In the cooler southern water, you’ll see whales, mantas, and gorgeous, diverse fish. Located in the Kedu Valley, on the island of Java, you’ll find one of the greatest Buddhist monuments in the world as well as a UNESCO World Heritage Site. Built in the 8th and 9th centuries AD, the compound contains three main temples, Borobudur Temple being the largest, and 72 stupas each with a statue of Buddha. Stunningly beautiful—the view over the compound is breathtaking at sunrise! Who would have expected a simple rice field to be so beautiful? And just because you have seen one rice field doesn’t mean you have seen them all. 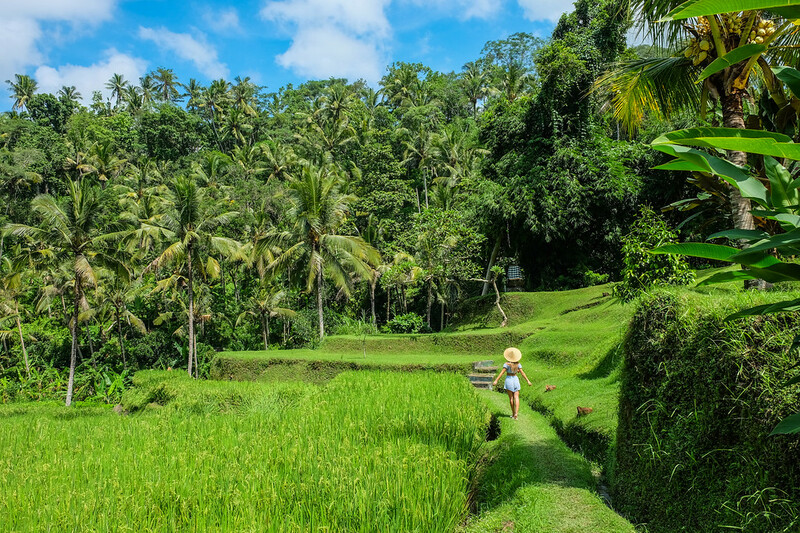 The Balinese use a unique system of irrigation that gives their rice fields a distinct beauty. The best place to get a view is at the world-famous Tegallalang Rice Terraces in Ubud. 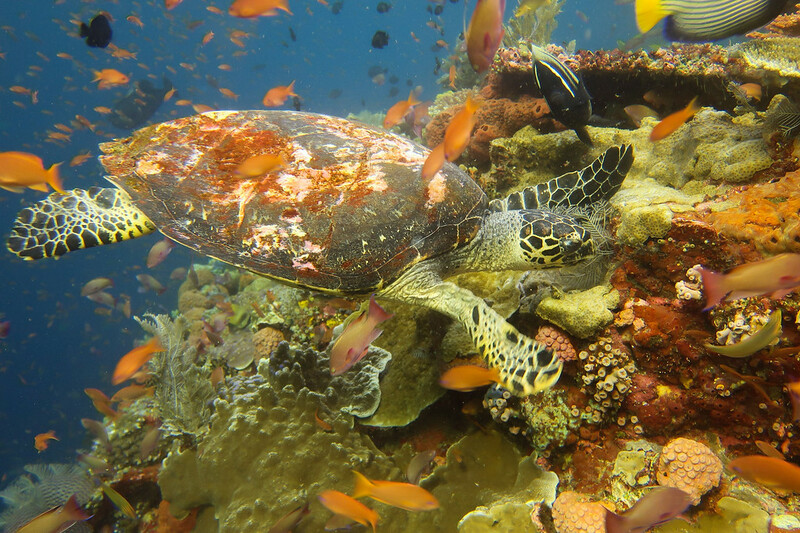 Head out for a dive off this island to get close and personal with the underwater world of Indonesia. When you’re done, you can e dreamy beaches of Gili Trawangan. This quiet island has amazing snorkeling and diving along the entire northern coast and the southern tip of the western coast. There’s a reason why surfers love Bali. It’s got flawless weather and some of the most consistent surf on the planet. 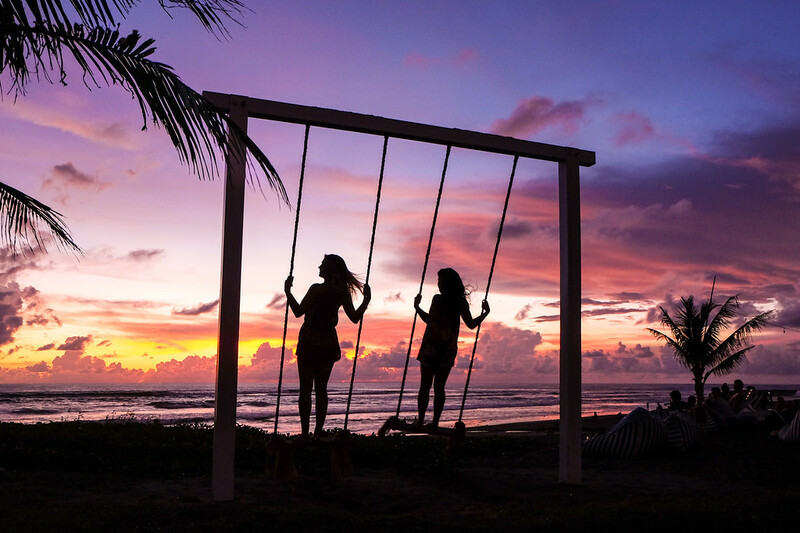 If you know the basics and are looking for a quiet, less touristy place to surf, look no further than Canggu. Northern Lombok is another great place for a hike. Plan to spend at least one afternoon exploring the amazing natural beauty of the region. Start by trekking though the lush green forest to Sendang Gile Waterfall, and then hike on to Tiu Kelep Waterfall where you can go for a refreshing swim. 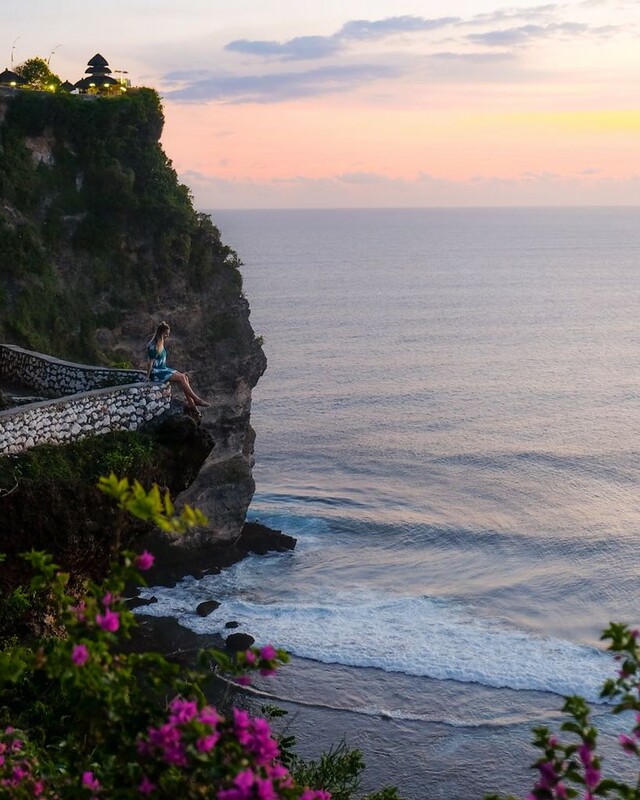 Famous for its insanely good surfing and the Pura Luhur Uluwatu Temple, Uluwatu is one of the best places in Bali to watch the sunset. Explore the area solo, or check out one of the local tours that will take you to watch the sunset over the Ulwuatu temple. Afterward, go for a BBQ dinner, and then watch a legendary kecak fire dance. This year I spent 12 days on diving liveaboard boat through Raja Ampat and the Banda Sea! This is an incredible way to connect with the ocean, see remote islands, and get some real dive experience under your belt. Not to mention the beautiful surroundings above and below the water! What are top things to see and do in Indonesia? Let me know in the comments! SHOP My Favorite Indonesia-Inspired Styles! I was in Indonesia for a month exploring all these places mentioned in your post. Hands down, I can say that I have fallen in love with Indonesia. Gili islands has been my favorite. Which one is yours?